It’s fun to make sweeping predictions about the state of Brazil’s economy, especially in this market. And there are usually two camps of people making those predictions—doom and gloom analysts who cry about the sky falling and the economic samba coming to a close, and folks on the opposite end of the spectrum who think Brazil’s economy will overtake America’s in 2 years. It’s more educational to look at what’s really going on with a boots-on-the-ground perspective, which is what I’ll try to do here. Brazil, like all countries, has its problems. But what I’ve seen firsthand should make any business owner very optimistic about the future. Brazil managed to score an impressive coup with hosting rights to both the 2014 FIFA World Cup and the 2016 Summer Olympics, to be held in Rio de Janeiro. Few people truly understand the economic boon gained from these sporting mega-events. The World Cup and the Olympics don’t just trigger a temporary spurt of plane tickets or hotel bookings or restaurant reservations—the long-term impact is far greater, and often immeasurable. Brazil’s preparations for the Olympics include airport, road and public transit expansion and renovation, plus improvement of telecom coverage and speed, to name a few. As the country modernizes and prepares for the Olympics, naturally business opportunities increase with it. Brazil isn’t a one-trick pony—they don’t just export oil or only manufacture textiles. That means Brazil’s economy isn’t pigeonholed into one route towards growth, and that also means just about any business can find success in Brazil, regardless of its industry. 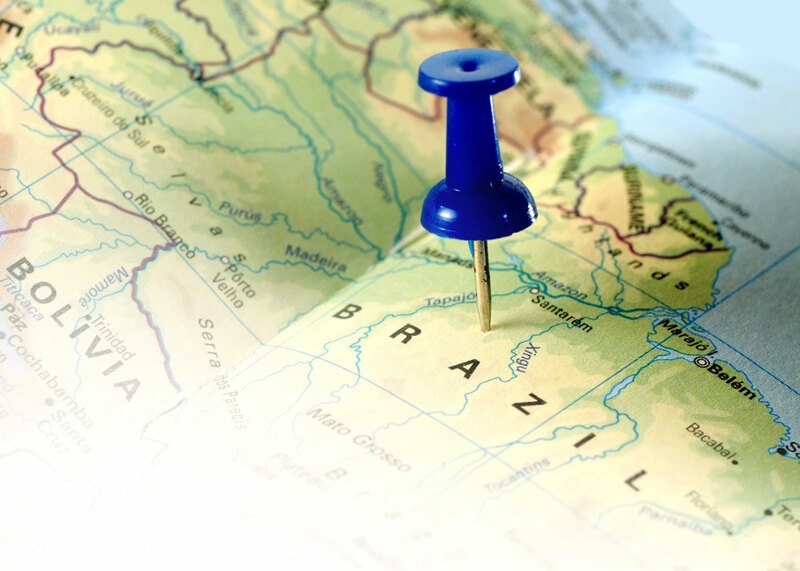 Brazil is also home to the biggest and most varied industrial base in Latin America, and doesn’t show any signs of giving up its substantial economic lead. As the average Brazilian’s purchasing power increases, the need for niche markets appears seemingly out of thin air. Brazil is in need of modern businesses to build a modern economy, which is why so many international companies are already stepping in to fill the void. In June of 2015, President Rousseff announced an ambitious, nationwide infrastructure improvement program that aims to invest over $65 billion across 20 states in the next 5 years. The project will modernize highways, airports, seaports and railways, helping business growth continue and expand into more and more markets. The package will be in the form of concessions and basically be public/private partnerships where the private companies are allowed to build and operate the facilities for a fixed time period. That’s on top of the residual effects from the World Cup’s infrastructure improvements and the renovations needed for the Olympics. Brazil today is what the US must have looked like as the Interstate Highway System was being completed, and that’s great news for business. The days of Brazilian companies keeping a stranglehold over the country’s economy are coming to a close. Brazil’s government is committed to the global marketplace, and competition is already fierce between local businesses and multinationals. Getting your foot in the door now is the best way to give your company an edge, as many industries are becoming saturated with stiff competitors. To foreigners, the US often conjures images of New York City, Los Angeles, maybe Las Vegas and DC. Everything else is just flyover country. Visitors to Brazil have a similar mindset—they know Rio, São Paulo, perhaps Brasilia or Porto Alegre. And that’s partly because most business opportunities have been limited to the biggest Brazilian cities, typically clustered on the southeast coast. Local governments have been slower to create favorable climates for foreign expansion, but the infrastructure and tax incentives are coming—slowly but surely, as most things do in Brazil. Brazil’s energy sector is as wide as it is deep, with the country sitting on significant deposits of oil and natural gas, and producing vast amounts of biofuel and wind energy. Brazil seems poised to become a hotbed of alternate energy research in the near future, whether that’s hydroelectric, wind or more efficient biofuel. Even if it doesn’t become a green utopia, Brazil’s extensive energy options offer vast amounts of opportunities for business owners. Most social networks your company already uses to promote your brand are already in place and widely used in Brazil, or at least have easy-to-use alternatives. With the median age in Brazil south of 30, the country is ripe for social media marketing to its biggest demographic and biggest spenders. The Wall Street Journal once labeled Brazil the “Social Media Capital of the Universe.” Brazilians are huge consumers of bandwidth, browse the internet for hours every day and flock to social media—a recipe for success for businesses smart enough to deliver a knockout online presence and understand digital media and marketing. The biggest pro of doing business in Brazil is that the country’s population is booming. Brazil’s workforce is huge and hungry, and its growing consumer base is voracious, wielding greater and greater spending power every year. The thing about “developing” countries is that, eventually, they catch up with the rest of the west. Whether you agree with that nickname or not, the future is clear—businesses today have an unprecedented opportunity to get their foot in the door now while the country is on the cusp, and ride that wave as Brazil comes into its own. Be proactive, get in now while the valuations are compelling, the BRL is near all-time lows and the economy and business climate are stabilizing. As always thanks for reading and send along any comments or suggestions.